The KPI synchroniser is designed to capture records from an HR, payroll or finance system and using key data fields (site, date & hours) to populate your Vault Performance Indicators records with the hours worked at each site by employees and contractors for each month. The KPI hours imported are then seamlessly combined with your Vault incident data to automatically generate the Lost Time Injury Frequency rate which is a key industry performance measure. Synchroniser KPI Hours files are full files as each entry is a unique record and is not subject to future change. 2. Select Synchroniser - KPI hours from the Settings page. 3. Determine what KPI Hours data you wish to import from your master database (HR, Payroll) into the Vault database - check the Hours worked by site data table in the table below to ensure the fields you require are supported by the Synchroniser. File name must begin with "kpi" and finish with ".csv" e.g. "kpi_31JUN2010.csv"
Required fields are indicated by Red bold text. 01/07/2010 = KPI Hours for July 2010 01/08/2010 = KPI Hours for August 2010 01/09/2010 = KPI Hours for September 2010 etc. Q. What happens if my CSV file has some hours records missing for some entries? A. The synchroniser will not update the hours for those sites for that month - this will distort the Performance Indicators (LTIF) results automatically generated in Vault for the missing periods. Note: the hours can be uploaded manually in Vault after synchronisation if required. Q. What happens if my CSV file has some sites or dates records missing for some entries ? A. Synchroniser will error - you need to correct the data and re run the synchroniser. Q. How do I change some historical hours which have already been synched and displayed in Vault ? A. You can set up and manually run a new CSV file with the correct data which will overwrite the previous records. Note this will change the Performance indicators (LTIF) data if the incorrect hours are significant. A. 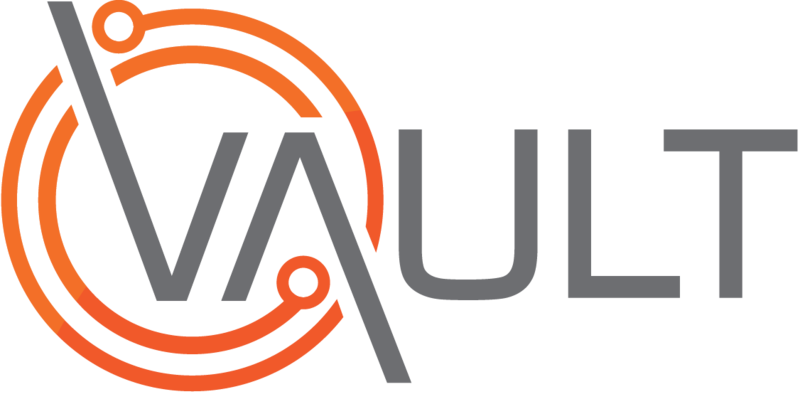 No Vault Cloud service does a daily backup of your data on your behalf.